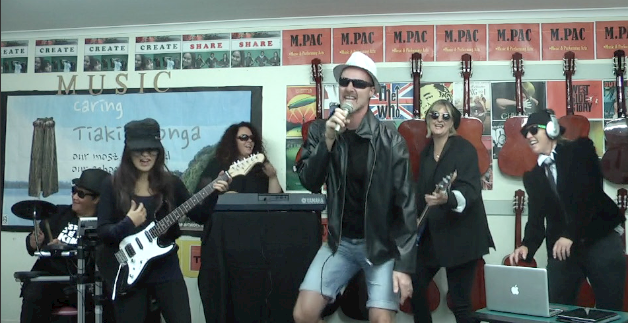 “Kia ora and welcome back to school” Mr burt shouted. “Its term 2 2014, and now lets get ready for team 1.” Getting ready to watch there zoo movie of how to keep our animals and us safe I quieted down because it looked entertaining. This movie was showing how to keep our people safe and also our animals. It showed where not to go, where to go, electric fences, and all sort of other fences. We clapped and then we got ready to the next team, team 2! Team 2 was my least favorites of all but the costumes were quite interesting. There video was about flight/gravity/drag/thrust and especially airplanes. It showed how an airplane flies, and what makes it fly. it showed a lot of information and it was funny but it was just not one of the best. As soon as team 3 came on I was excited because they were colourful. They each wore different colours and each colour was pink, blue, purple and green. It was about light and it looked interesting. Mrs Barks was talking about what colours do and about light. She showed what colour bounces of another colour and colour we see what all colours bounces of one. There was a lot to see and listen to but it taught me something. It was time for team 4 and it was actually brilliant. I learnt a lot because its something I have hardly heard about. It was about displace, buoyancy, floating and also sinking. “If a boat goes in the water, the water will displace, actually if anything goes in the water it will displace” the man said as the movie was playing. So he walked along to a big bucket and jumped in it to show how the water gets bigger. This movie/item was one of my favourites. They asked questions and gave out prizes even thoe I didn’t earn one it was still one of my best. This term, term 2, team 5/year 7 & 8’s are learning about sound and up on the stage was our teachers of team 5. They did an item first and then showed a really funny movie and what sorts of sound/instrument they were holding/making. We all started laughing but its was the BEST of all, and its also my best because I am in year 7 and 8.